Russell is a 6 month old male Pointer cross German Shepherd Dog. 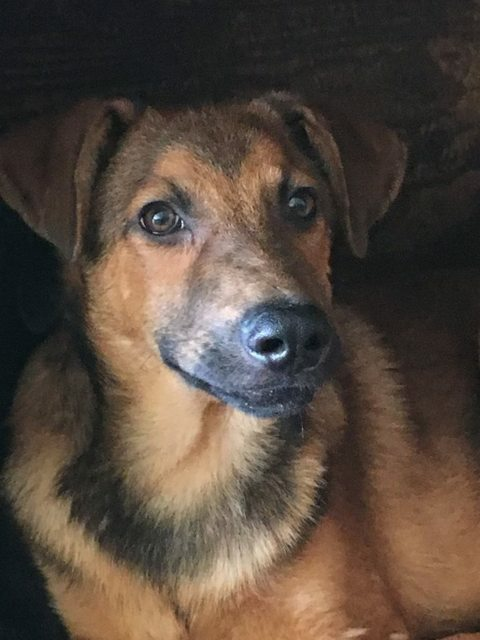 Russell was rescued in Cyprus and is now in the UK hoping to find his very own family and forever home. He is currently living in our kennels in Atherstone. Russell is an absolutely adorable, sweetheart of a puppy. We made a promise to Russell when we rescued him. 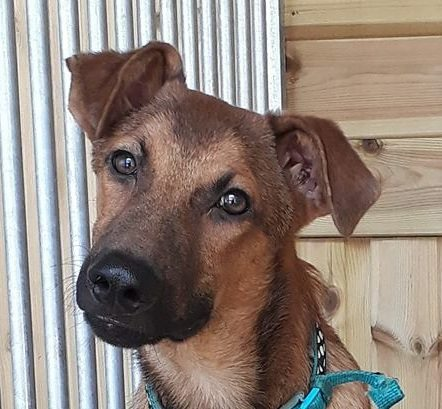 That promise was that we would fly him to the UK and that once in the UK we would find him an amazing family to love and care for him forever. We have fulfilled the first half of our promise to this pup and now we want to complete our promise. Russell is looking for a fabulous home, with a garden where he can play safely. He gets on well with all people including children. He would be happy to share his new home with another dog or equally happy as an only boy, providing you had time for him. Like any puppy moving into your home, Jordan will need help with his basic training. He is a very clever boy and eager to learn new things, especially as he gets to spend time with his human! He tries so hard to please his humans, he enjoys his walks and exploring and playing. He has not met cats so we do not know if he will like them. Russell’s wish is to find a home where he will be loved and given the opportunity to find out how terrific his life can be. 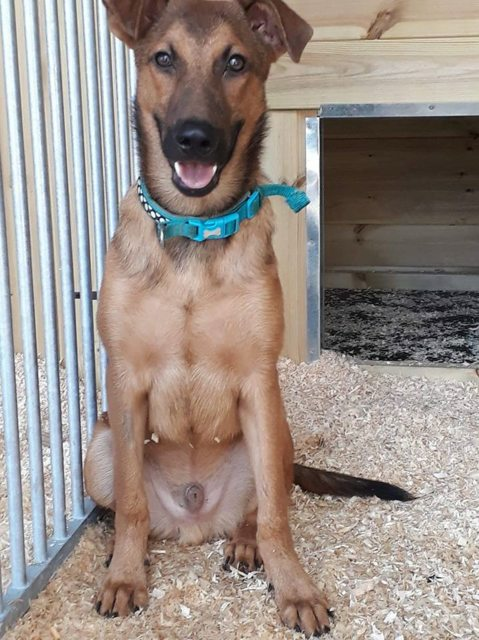 If you can offer Russell a loving home, with a safe garden to play in, and are able to spend time helping him continue to learn what is expected of him just as you would with any new puppy joining your family, please contact us. He really has the potential to be an amazing family pet. He has been vaccinated and microchipped. Adoption is subject to a neutering agreement and home check. Minimum adoption donation £325. Full post adoption support is available from our charity.